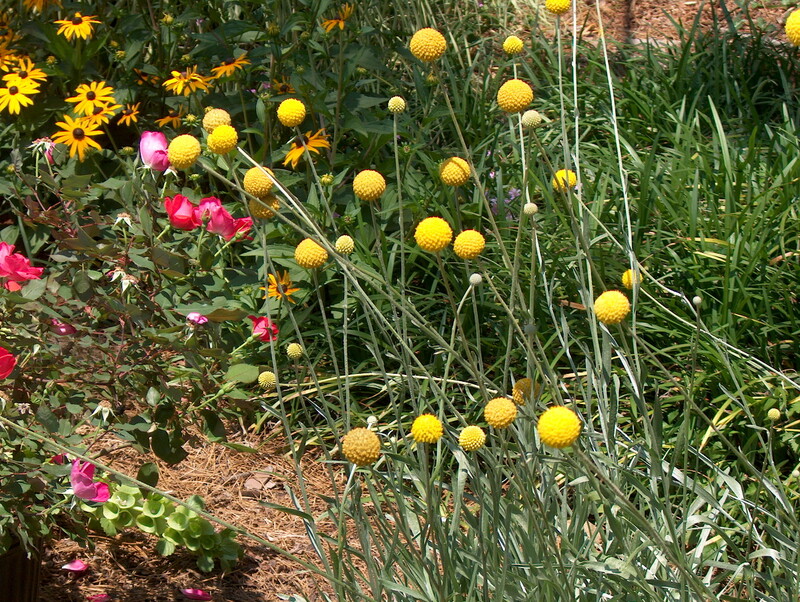 Comments: Also known as "Billy Button", its yellow flowers offer striking contrast to the gray foliage. Treated as an annual in the colder areas. Its tough, long lasting flowers make it a good dried material. Plant in full sunlight and in a well drained soil, preferably a raised planting.